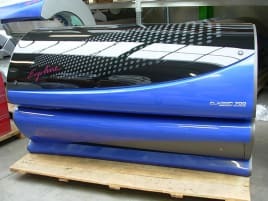 1 Ergoline Affinity 700 Advanced Performance Twin Power Tanning Bed - AS NEW! 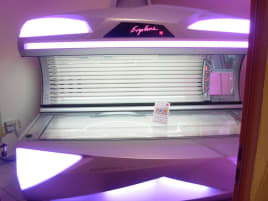 A solarium is used to shine UV light on the body through some UV neon tubes. Although it is not only used for tanning, but also for relaxing, the main aspects in using it are cosmetic and visual reasons. Doctors and health organizations are warning against artificial UV rays causing cancer. Therefore it is important to use a new or used solarium only in moderation. 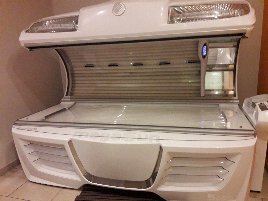 Using a new or used solarium has many advantages: the UV light produces vitamin D in the body which strengthens the immune system. 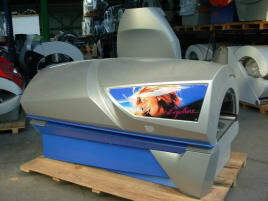 As there are different UV rays, it is important to identify the skin type before using a new or used solarium. 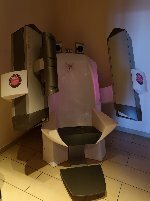 According to the skin type the suitable intensity and duration of the use of the machine can be set. 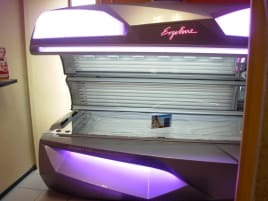 In addition you use a solarium only for a short time compared to sunbathing in the natural sun where people often underestimate the strength of the sun and get burnt. Using it too often can also be dangerous, so it is essential to get advised on side effects and the appropriate way of using it for your skin type. If you take medicine it is also necessary to consult your doctor about side effects when sunbathing. Many gyms provide saunas or solariums as parts of their wellness areas, but most of them can be found in a specialized solarium. 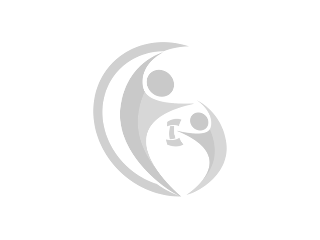 There are various kinds of new or used solariums to provide different intensities of UV rays for the different skin types. 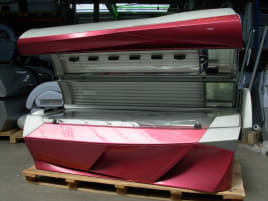 If you prefer buying your personal solarium for your home, you can find a wide range of products on fitnessmarkt.com. 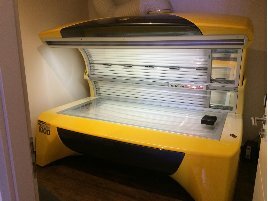 If you want to sell a new or used solarium from a gym closing or private use, you can insert it on fitnessmarkt.com and offer it to a large number of prospective buyers. Create an ad in just a few steps: give a detailed description of the new or used solarium as well as some pictures so the customer has all necessary information just at a glance.